Dr. Ray Guarendi, a clinical psychologist for over 40 years and author of more than a dozen books on parenting, marriage, adoption, and now grand parenting discusses his new book, Being a Grandparent: Just Like Being a Parent…Only Different! Thanks for joining us this week for Family Policy Matters. One of the most important, rewarding, and sometimes challenging roles we can have during our lifetime, is that of being a parent. For those of us who have been blessed with children, there is no higher calling than raising our children well, with the hopes and prayers that they will, in turn, do the same if and when they become parents. If this occurs of course, we then have the privilege of moving into the esteemed role of grandparent, with an entirely different set of joys, pains and potential complications. Today, we are joined by Dr. Ray Guarendi, a clinical psychologist for over 40 years and author of more than a dozen books on parenting, marriage, adoption, and now grandparenting, which we will be talking about today. JOHN RUSTIN: Dr. Ray, talk a little bit, as we begin our conversation, about the special relationship that can exist between a grandparent and a grandchild. I know that these relationships can serve to enrich the lives of each of the grandparents and grandchildren. RAY GUARENDI: Grandparents don’t have the conditions of being a parent. They’re off the discipline really, unless they’re babysitting, unless they’re living with the kids, but by-and-large the standard grandparent role, you don’t have to discipline. Those days are over, so that whole area of potential friction between a kid and an adult is pretty much gone. That’s the first thing. Second thing: Grandparents have got a little more flexibility in their schedule: maybe retired; maybe working less; they have maybe discretionary income; they can go to games; they aren’t working, so maybe they’re present at the kids’ games. You’ve got that flexibility. They can help: “Hey Mom, can you pick up little Justice on Tuesdays after preschool?” “Yeh, I’ll be there, honey. No problem. I can get him.” —that kind of thing. So the looseness in the grandparent role allows us to basically be a presence, and a more relaxed fun presence. Now that’s said, we have to be careful—very, very careful—that we do not alter the parents, in other words, we don’t undercut their parenting: We don’t break their rules on TV; we don’t drench the kids on Christmas gifts by driving the Toys R Us truck up and dropping off a load when the parents are saying: “Hey Ma, he’s already got 56 stuffed animals.” “I know honey but he doesn’t have a zebra one.” We’ve got to be real careful because the main place of friction is between parents and grandparents when the grandparents are at odds with the parenting. JOHN RUSTIN: That’s so important. I really want to unpack some of those issues that you mentioned as we continue in our conversation today. I know sometimes those things that you mentioned—that we’ll talk about a bit—may be easier for grandparents who are close to the children in proximity. It may be challenging sometimes for grandparents who are not in the same town or area, or even in the same state as the grandchildren, to be able to spend as much physical time present with the grandchildren. However, in an increasingly mobile world where families are often spread far and wide, I know Dr. Ray that you say that “presence is not the sole element of connection.” How can grandparents overcome physical distance and still have a close relationship and positive relationship with their grandchildren? RAY GUARENDI: My wife and I are not technically minded. My cell phone still has a rotary dial! With that said, my wife is going out to get an iPhone 8 so she can get a Skype so that we can be a weekly part of our little granddaughter, just born a couple of weeks ago, with my son and his wife who live in Rhode Island. Now, we wouldn’t have any chance of doing that without technology. You can Skype, you can FaceTime, you can call, you can get on the computer. So the same technology that is misshaping some of our young people can be technology that can connect grandparents with the kids. The problem with that is I have to get my nephew who is seven years old to show me how to do it. JOHN RUSTIN: Dr. Ray, grandparents, and you mentioned this earlier, often feel a fair amount of freedom to be more flexible with their schedules, with their finances, and also with behavioral discipline. Sometimes those behaviors may differ quite a bit than those grandparents displayed with their own children. Do you consider this to be hypocritical, or just one of the joys and freedoms of grandparenting? RAY GUARENDI: There is a tidbit of advice given to mothers and mothers-in-law on their daughter or daughters-in-law wedding day, to make the wedding day as pleasant as it can be. Now that piece of advice is very good for grandparents in order to stay out of trouble. That is: “Sit up, shut up, and wear beige.” If you’re a grandparent and you’re watching how your kids are either disciplining or not disciplining your grandkids, unless you are asked directly for guidance—and if they ask you, have them sign something from your attorney’s office that in fact they are asking for your advice—don’t say a word. You can’t say a word. When was the last time you gave an opinion, you gave a critique, you gave some unsolicited guidance and your son or daughter or daughter-in-law said, “Oh, I thank you. I hadn’t even thought of that. You’re so much wiser than I am. Your parenting is obviously so much more in tune.” No, no. I tell you my friend, the number one reason—and this is one of the great tragedies that’s happening now in ever increasing numbers—the number one reason why grandparents are being pushed out of their grandchildren’s lives is because, usually, it’s an in-law who says: “I don’t like your mother’s opinions. I don’t like her questioning my parenting. I don’t like your father giving advice when I don’t ask for it.” And little by little, that relationship between the two adults deteriorates and the grandkids get held back. That happens so much, it’s sad. 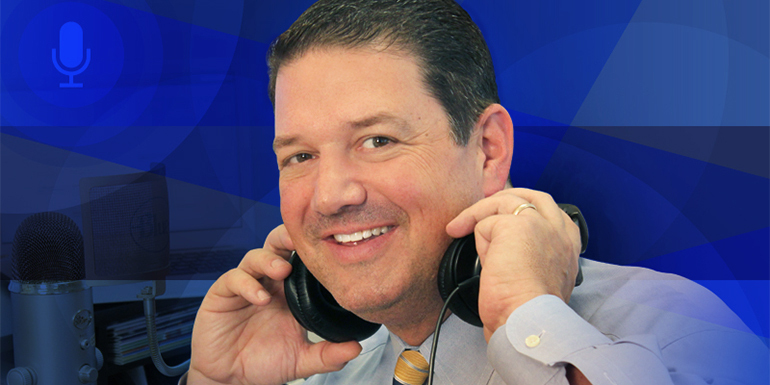 JOHN RUSTIN: Would you say there is ultimately a hard and fast rule regarding whose rules should prevail, the grandparents or the parents? RAY GUARENDI: For the most part, yes. Where that can be conditional is say I’m babysitting and the kids are at my house, the parents are dropping them off. I’ve got to establish exactly what I’m allowed to do here. For example, some parents will say: “I don’t want you spanking the kids at all.” “Okay, but I’ll tell you I’m going to discipline. That’s going to be part of the kids’ staying here.” I’ll put them in the corner, I will take away certain privileges, because I’ve got to be able to have some kind of discipline control to babysit so that the relationship is a good one and it’s not chaotic. I can’t tell you how many grandparents have said: “I don’t want to watch my grandkids anymore. They’re so out of control. They’re so difficult that I feel terrible, but I don’t want them here.” I hear that a lot. The second thing I would say—especially the older kids—all too often at grandma’s birthday party, you’ve got a 14-year-old sitting on the couch immersed in a cellphone. When they’re singing Happy Birthday, maybe she looks up, maybe she doesn’t. I, as a parent, would advise: Please take the cellphones away when you go visit grandma and grandpa. This is a matter of us having some kind of face-to-face relationship as opposed to you seeing who else is out there. How many birthday parties, how many Christmas Eves have teenage kids basically been out of touch with the grandparents simply because they’re immersed in techno world. JOHN RUSTIN: What are some strategies, Dr. Ray, that grandparents can employ when they do have concerns about the way their grandchildren are being raised, particularly if it comes to issues like faith? RAY GUARENDI: So much of it comes down to: What is the reaction? For example by-and-large, grandparents are more faith-filled than the kids. If you look at all the demographic stats, and you look at the group under 35, they are the least religious of any generation in the history of this country. As a result, many of the grandkids are being raised with little or no religion and grandma is feeling: Oh gosh, I’ve got to try and put something in their life, maybe buy them a Bible picture book for their birthday, do something. I tell grandparents: Do that as long as you don’t run up against a wall. If you run up against hostility, you have to know when to back off. Because if you keep pushing it, you will raise resistance, and that resistance could culminate in saying: I don’t really want you around these kids. Now, the other thing that you can do—and I tell this to grandparents—if you want to show your kids that grandma and grandpa, because of their faith, are beautiful people, then you have to be easy to get along with: kind, loving, helpful. You have to be one of the most appealing people in their lives so that, as the kids get older, they can at least say: You know, grandma is a very special lady. And maybe they’ll put two and two together and notice that grandma is also a faith-filled lady. JOHN RUSTIN: How can grandparents, who have a strained relationships with their children […] but they do want to have a relationship for the benefit of the grandchildren. How can they still find ways to connect and be a part of their lives even in those tense types of relationships? RAY GUARENDI: Let’s take the most extreme type of scenario. Let’s take the one where the grandparents have already been pushed out of the kids’ lives. I tell you this, more often than not, it’s an in-law situation and of the in-law situations it is usually mother-in-law/daughter-in-law. If that’s the case, I always advise the grandparents: go back as best you can and apologize. Say: I didn’t mean to be intrusive. I didn’t mean to give my opinion where it wasn’t asked. I’m so sorry I will no longer do that. You will not have to worry about me making comments about your motherhood, your parenting, I give you my word on that. Now if it’s thrown back in your face, it’s thrown back in your face, but at the very least, you’re going to go back and you’re going to say: I’m no longer going to give my opinion, or anything like that, and in the past when I did, I am so sorry. Now, your goal is to see those grandkids, and you’ll have to acknowledge an awful lot of wrongdoing that she thinks you did and you don’t think you did. Okay, that’s the first step. If that doesn’t work, if she basically says: I’m happier with you out of my life and out of my kids’ lives, periodically send a Christmas card, a birthday card, an email that says: I’m thinking of you. I’m praying for you, wondering how you’re doing, how everybody is,” so that you’re at least keeping the door open. It doesn’t become: Well, she doesn’t want me around the kids, so therefore I’m not going to attempt in any way to have any contact.” Because that could easily be misinterpreted as: Your grandma’s not coming around, she’s just that way. So, I advise them to do that too. The other thing I do is if it is an in-law situation, try to get your son or daughter to bring about a little peace. You don’t have to love each other with an oosh-gooshey kind of my son-in-law, or my daughter-in-law is the most wonderful person in the world, but you will be pleasant and civil and kind. That’s critical, absolutely critical, nothing replaces it. JOHN RUSTIN: Dr. Ray, we could talk about this for hours but I know that you have a wealth of information in your book, Being a Grandparent: Just Like Being a Parent…Only Different!and before we depart our discussion today I want to give you an opportunity to share information about where our listeners can get access to purchase that book and your other excellent materials. 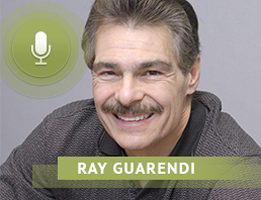 RAY GUARENDI: Thank you. You can go to drray.com, that’s my website, or my Facebook page, and all copies are signed. So if you order it, you’ll get a signed copy. JOHN RUSTIN: Great. And I just want to thank you so much Dr. Ray Guarendi for your time today, and for all of your important work encouraging and supporting strong and vibrant families. Thank you so much.